The Internet of Things and other terms like IIoT or Industry 4.0 are on the strategy of many companies nowadays. Smart devices and sensors collect billions of data points and the cloud provides the computing power to analyze them. Almost all big cloud platform providers have IoT offerings which allow millions of sensors to stream their data up in the cloud. The biggest players on the market are currently Amazon Web Services with AWS IoT, Microsoft with Azure IoT Suite and IBM with the IBM Cloud IoT (Bluemix IoT). Hardware vendors now face the challenge to make their smart products compatible with all major IoT platforms on the market. 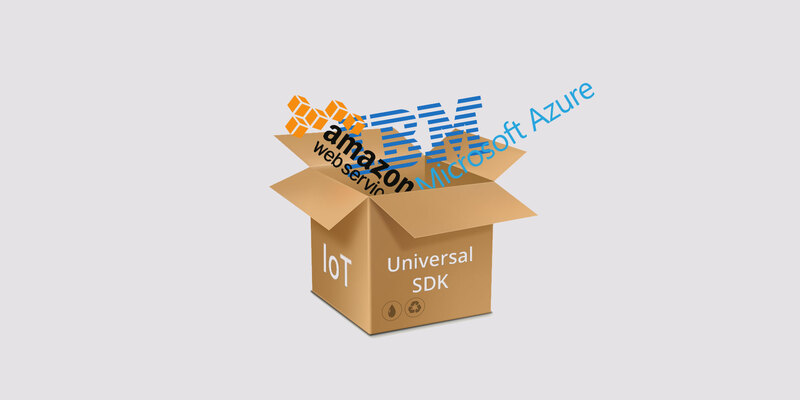 CloudRail solves this issue with a universal SDK for AWS IoT, Azure IoT Suite, IBM Bluemix IoT and more in future. Why is Cloud Compatibility Important for IoT Devices? A big advantage of cloud platforms is the availability of almost unlimited computing power. Everyone can access hundreds of servers on demand with just a few clicks combined with a minimal investment. Why is this important? The answer are buzz words like Big Data, Predictive Maintenance or Machine Learning. All of them require a lot of resources and knowledge which almost no company has in-house. With the cloud, it’s just a few clicks away. To enable for example a Predictive Maintenance use case all sensor data needs to flow directly in the cloud. So actually every sensor or at least an edge device or gateway should be able to enable a connection to the customers’ cloud provider. Flexibility and reduced overall costs are the main reasons why most companies realize new IT projects in the cloud nowadays. A cloud first strategy is already more a standard rather than an exception. Thus hardware won’t need to only talk to the server in the local network anymore — the cloud will be the central point for any kind of data, and services like AWS IoT or Azure IoT Suite are the gateways between devices and systems sitting in the cloud. The SDK is also available in C, C#, Java and more. Besides the ability to integrate the SDK in a proprietary configuration, plugins for tools like Node.Red or CodeSys will be available soon. Besides the SDK which sits directly on the device, a white label configuration tool is available which guides the user through a simple process to connect the device with a cloud vendor of its choice. The tool can not only configure the SDK with the required MQTT parameters as well as certificates or keys for the authentication or encryption, it also allows the user to automatically add the device on the respective cloud portal. This means it acts as a vendor-independent device management platform. The whole process is designed to connect the device to any cloud in less than 5 minutes. The configuration flow can be integrated into any existing UI or is available as a standalone web-based solution, either professionally hosted or as an on-premise solution. It’s true that most IoT platform providers support the standard protocol MQTT. The bad news is, besides MQTT there are other protocols used and to provide a real valuable integration also the use of some provider specific http APIs is required. All cloud vendors offer proprietary SDKs, but they of course just work for this single provider. In addition, the configuration of a device can be very complicated and challenging for the user. CloudRail bundles all providers in a single, universal SDK and in addition offers a sophisticated configuration tool for a fast and easy on-boarding process. In almost every industry environment devices need to work for many years or even decades. A future-proof design of every component is absolutely mandatory. CloudRail supports this with sophisticated and well-tested solutions paired with professional and enterprise-grade maintenance. CloudRail SDKs already run on more than 60 Million devices all over the world. Another key fact which makes CloudRail a future-proof system is the ability to add new cloud providers without requiring any changes to the SDKs on the devices. We will constantly add new IoT platforms to the system and thus make CloudRail based devices compatible to even more providers — without any required changes from the hardware vendors. Data security is an important factor in many industrial environments. CloudRail supports this with a so-called peer to peer system design. This means that no data ever touches a CloudRail server. 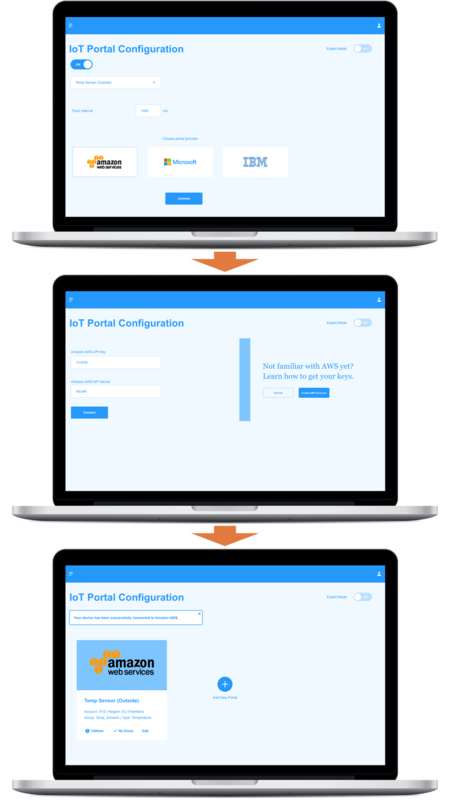 CloudRail powered integrations can’t go down and are always end-to-end encrypted — from the device to the cloud IoT platform. Moreover, CloudRail is headquartered in Germany and is committed to the strict German and EU privacy laws. How to Get Started With the Universal IoT Platform SDK?